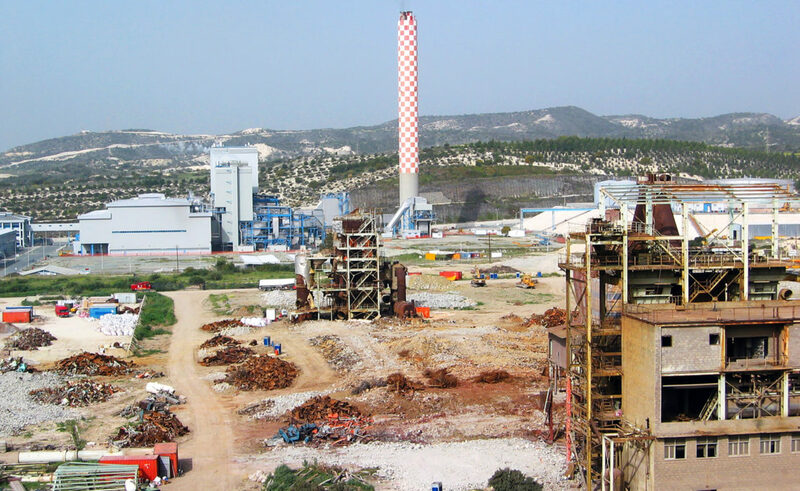 EPE undertook the rehabilitation of the former phosphoric and sulphuric fertilizer plant in Vassiliko, Cyprus. The project was funded by the Ministry of Commerce of Cyprus and lasted more than one year. The project began with the clean-up of tanks and pipings from hazardous sludges and acids. The anhydrous ammonia spheres were emptied and cut separately. Waste was treated on site with physicochemical methods. A hazardous landfill was created for the disposal of NORM waste. Enclosures were set up in many locations for the removal of asbestos waste. Once all hazardous waste was removed from the plant, demolition operations commenced. Several buildings were demolished including the stack, ammonia spheres, tanks and several other steel and concrete structures.